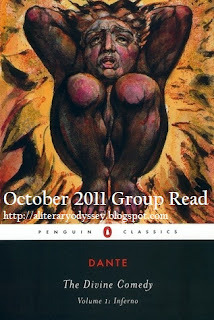 A Literary Odyssey: October 2011 Group Read: Inferno by Dante. I completely agree regarding the notes. 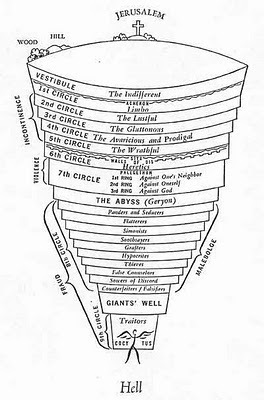 I don't think I could have made much sense of parts of The Divine Comedy without them. 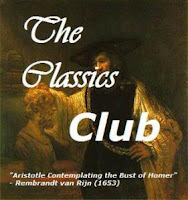 My big response to this first volume was that I wanted to read Virgil afterwards. I've made it as far as buying Aeneid! Yes, you're interpreting it right on the free will thing. That was one of the main things we talked about in my college class discussing this one. I love Inferno so I'm thrilled you liked it! 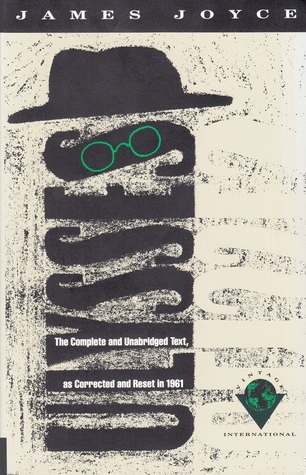 Very interesting review. I bought this book after my Spanish Literature professor said it is invaluable for giving us some important insight into the Middle Ages. Inferno definitely sounds worth reading. I'll get to it in a couple of weeks.